I know some people say that they are sad summer has ended, but I’m not one of them. I’m fully embracing the fall season! I love the cooler weather, the gorgeous colours of a fall landscape and the fact that I have a little more time to do a few projects of my own now that the kids are in school full-time. In the past couple years, I’ve developed a taste for DIY projects. My house is full of many of my past endeavours and I always have such fun creating and trying new ideas. Some don’t work out while others turn out so well that I think to myself why haven’t I tried this before? My most recent DIY project or I really should call it a DIY hack since it so easy and inexpensive to do, is perfect for fall. Even my 10 year old daughter could do this on her own. 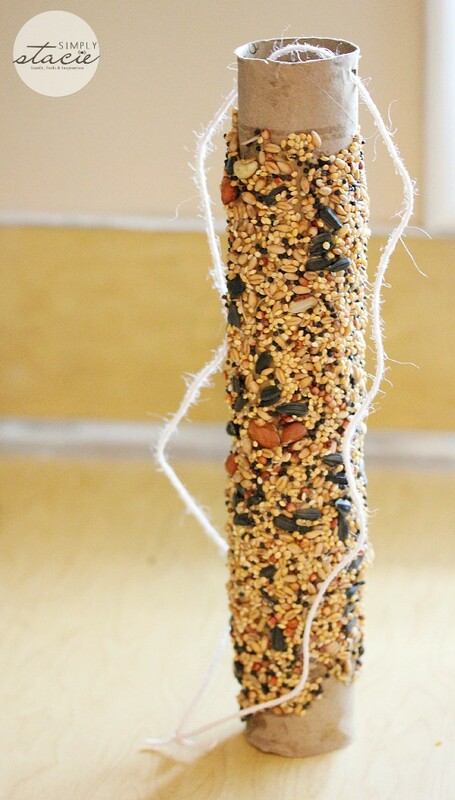 Today I want to share with you how I made a bird feeder from a roll of Bounty paper towel! 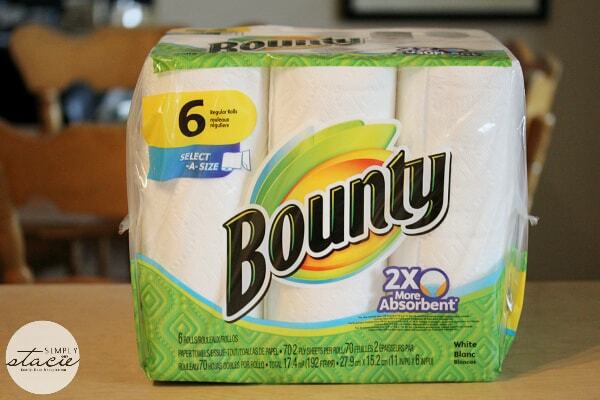 Head to your local Lowe’s and pick up some Bounty paper towels. Not only are they great to clean up messes around the house, but they also have a crafty purpose. Who knew a roll of Bounty could be so versatile? I noticed we had many birds making their home in the trees in our yard. Over the summer I found a robin’s nest in the garden and I wanted to offer them and the other birds some extra food as they prepare for the winter. 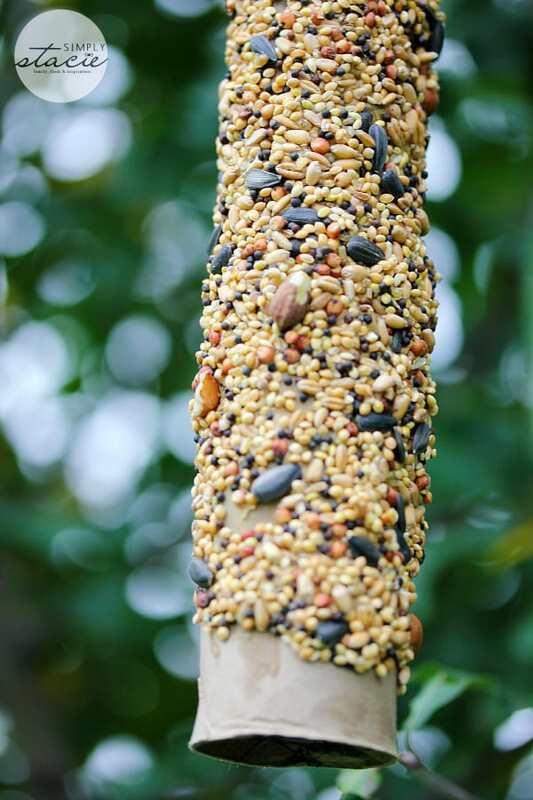 Instead of buying a bird feeder, I made my own. Easy! 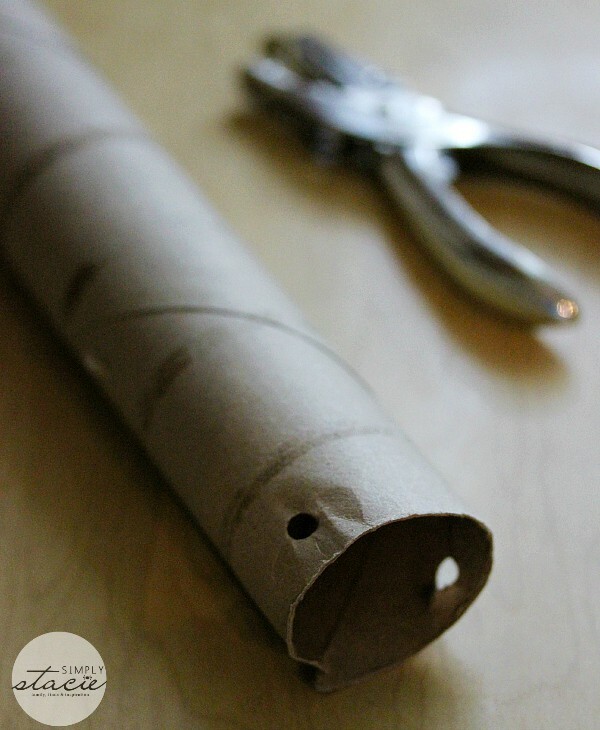 Step One: Using a paper hole punch, punch two holes at the top of the paper towel roll. 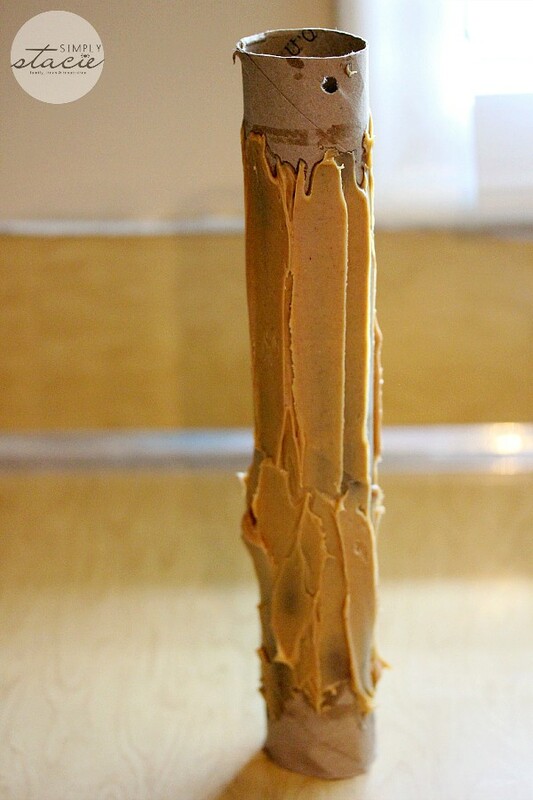 Step Two: With a butter knife, spread a thick layer of smooth peanut butter evenly around the paper towel roll. Tip: Leave a gap at the top and the bottom so it’s easier for you to handle. 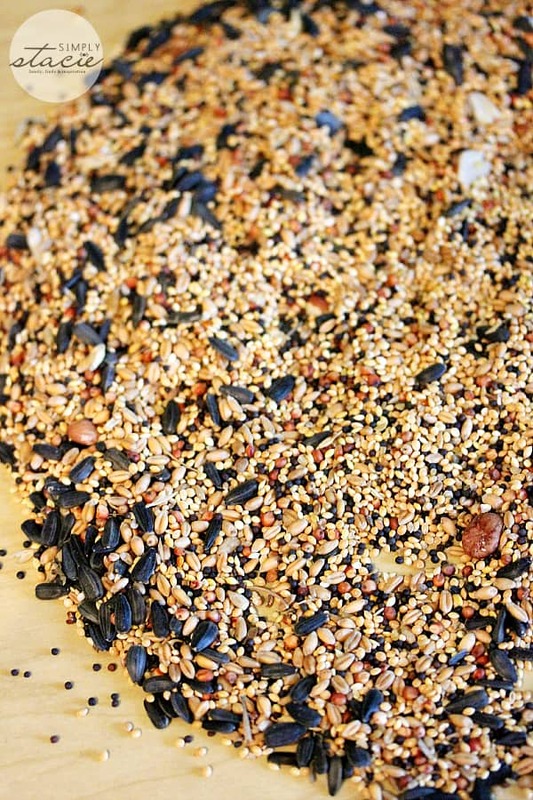 Step Three: Spread a layer of bird seed on a flat surface. Kitchen counters work great! 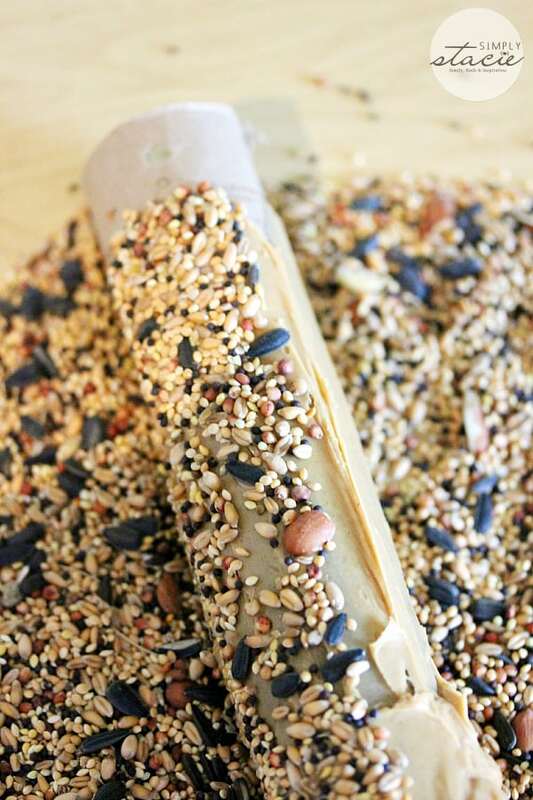 Step Four: Roll the paper towel roll in the bird seed to completely cover the peanut butter. 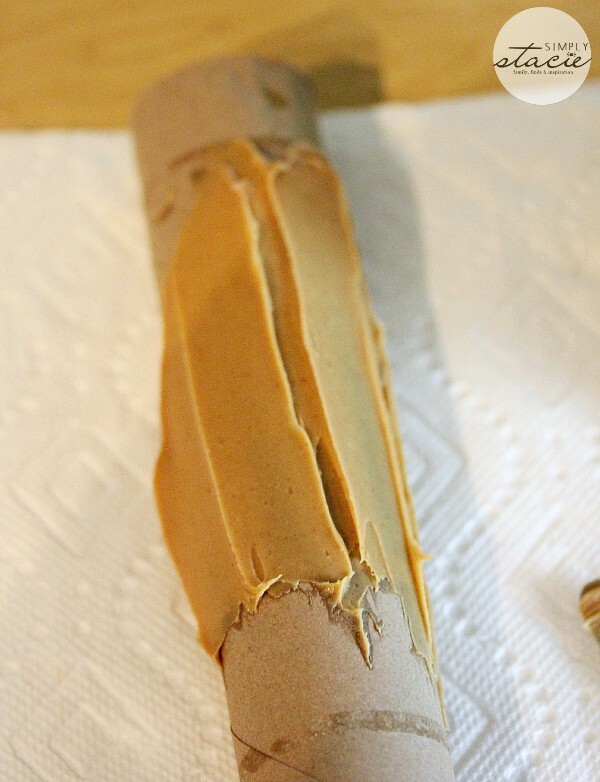 Step Five: String a piece of twine or jute through the two holes at the top of the paper towel roll. Tie a double knot at the top to secure it in place. 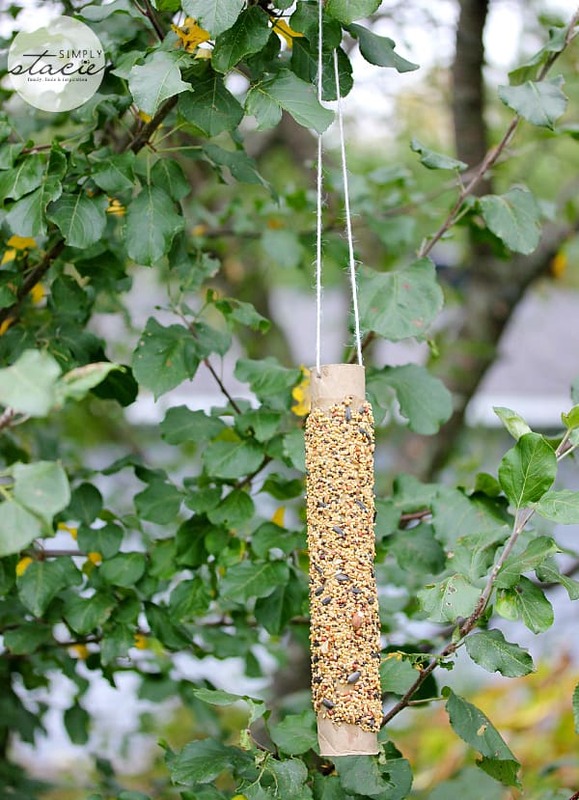 Step Six: Hang your bird feeder from a tree branch and let the birds enjoy their feast! 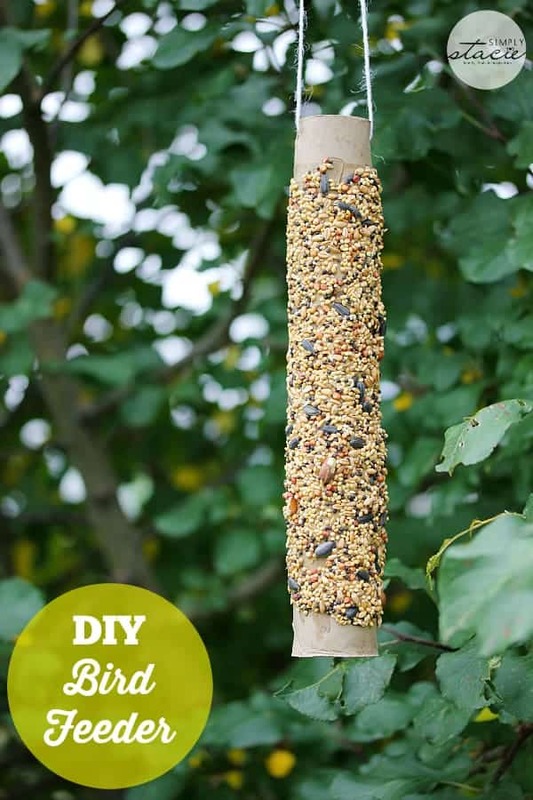 Have you tried making your own bird feeder? Let me know in the comments how it went! Want more fall DIY hacks? 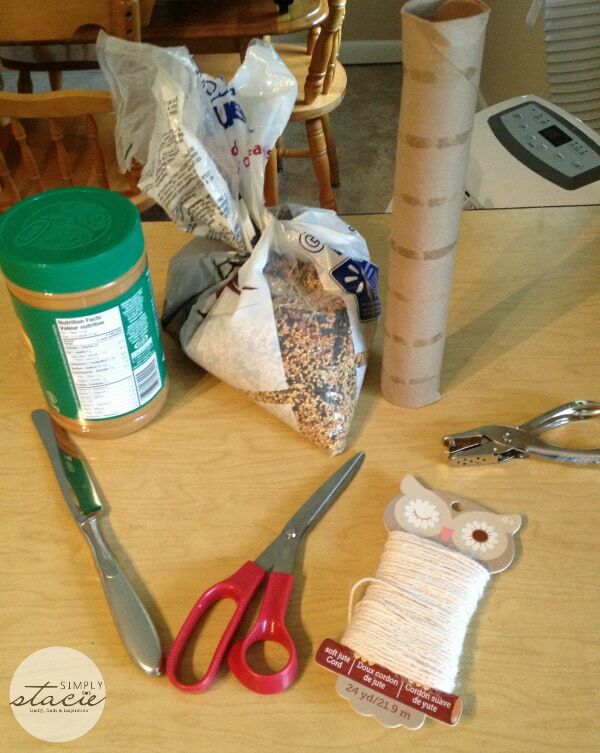 Check out PopSugar.com for fun fall DIY projects sponsored by P&G and Lowe’s. I need to make a mat for my front step like the one featured in the Outdoor decor video. Very cool! Which fall DIY hack is your favourite? The DIY Fall Cleaning. I need help with idea on this. Tips to make the laundry room more fun. My favorite is Fall Into DIY: Cleaning. Fall Into DIY-Outdoor Décor is my favorite. Painting Acorns with fall colors.